Jill Norris is EFI's Chief Information Officer responsible for all aspects of information technology worldwide, including external hosting services. She joined EFI in November 2017. 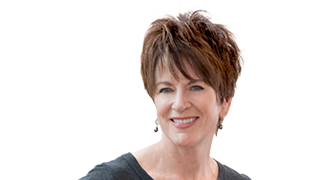 Jill has led successful organizations in mature, start-up and transforming companies. Prior to EFI, she led IT Global Services at semi-conductor firm GlobalFoundries and Application Engineering for Motorola after Motorola Mobility acquired Good Technology. Joining start-up Good Technology while it was still in stealth mode, she was the first CIO and Chief Service Officer and VP/General Manager of Good Technology India. Her early career was spent at Sprint holding high impact leadership positions in IT, Finance and Product Development. She was a key billing strategist, driver of the first enterprise-wide data warehouse, led the consolidation of local and long distance division IT Operations, and scaled IT service delivery during Sprint PCS's high growth early years. Jill has a Bachelor's Degree in Communications from Ottawa University and an MBA in Management (with Distinction) from Rockhurst University.